Swimbait Head has a collar that allows for the easy addition of a skirt. If no skirt is desired, the collar helps lock soft plastics firmly in place, along with the wire bait keeper that runs down the length of the hook shaft. The line tie location will allow the bait to slide through cover and allow for a natural presentation with a wide variety of Swimbaits. 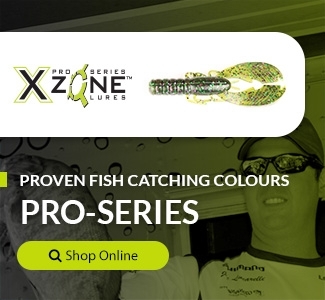 I like to use X Zone Lures because of the shape and the action that the bait has which is so unique. I have confidence in the bait, especially the Swammer and when there is no bite, I know that there is no fish in the area.